Prime Minister, Narendra Modi at the NCC Rally, in New Delhi on January 28, 2018. Union Minister for Defence, Nirmala Sitharaman, the Minister of State for Defence, Dr. Subhash Ramrao Bhamre the three Service Chiefs: Air Chief Marshal B.S. Dhanoa, General Bipin Rawat & Admiral Sunil Lanba and the DG, NCC, Lt. Gen. B.S. Sahrawat are also seen. In her recent article 'The belief system, and some truths' published in The Hindu, IAS officer Dipali Rastogi has blown the lid off the IAS cadre, whom she describes as: meant to serve, but do not; not trained to handle vast sums of money and human resources; egoistic belief of intelligence-experience but people only fears their power to benefit / damage; distribute largesse they don't own; thrive on mismanagement and chaos; no long-term vision and subservient to authority; exploit systems for benefiting self and friends; policy of drift to remain relevant; expand own sphere, not efficiency; most pompous, officious and ill-bred; no stake in country – kids study abroad, niche of luxuries created for oneself; no empathy with larger population; too powerful to be annihilated. The irony is that despite these traits, these bureaucrats wholly man the Ministry of Defence (MoD) and continue to work against the interest of the armed forces. 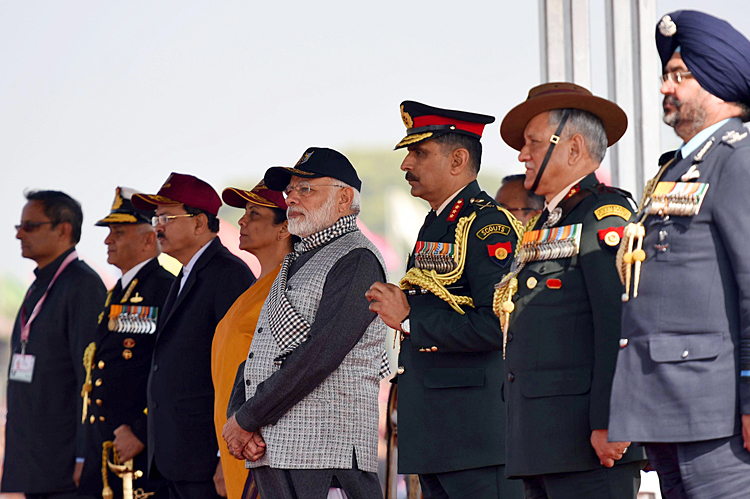 But that is not all; NDA II has seen musical chairs by three defence ministers solely dependent on these bureaucrats being themselves bereft of experience in matters military. Therefore, the political authority has made no move whatsoever to reorganize the MoD to inject military professionals. On the contrary, their actions show they are completely subservient to the bureaucracy. The much publicized move of opening lateral joint secretary level entry into ministries deliberately does not include MoD. Even though the MoS (Defence) pointed out to the Prime Minister that latter's pet project, 'Make in India', remains in limbo because of unaccountable bureaucrats of MoD, still there is no thinking about reorganizing MoD. Budgetary allocations for defence are the lowest since 1962, yet defence minister publicly rubbishes the Parliament's Standing Committee Report presented officially in Parliament. Despite the impoverished state of equipping of armed forces, media now reports that over 2 trillion to construct four railway lines to Ladakh and Arunachal Pradesh, plus 350 crore will be paid from defence budget (not by India Railways); this despite lakhs of civilians and tourists that will travel on same lines. Free access has been granted to civilians in 62 military cantonments despite military camps being attacked by terrorists. Defence Estates (whose disbandment was recommended by CAG in 2013 being the most corrupt part of MoD) has been empowered further, with an eye on defence lands and bungalows in cantonments. 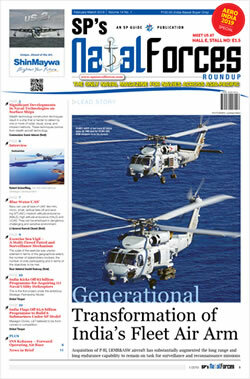 Army's Advance Base Workshops have been taken over by MoD and some 20,000 acres land of military farms is up for grabs. 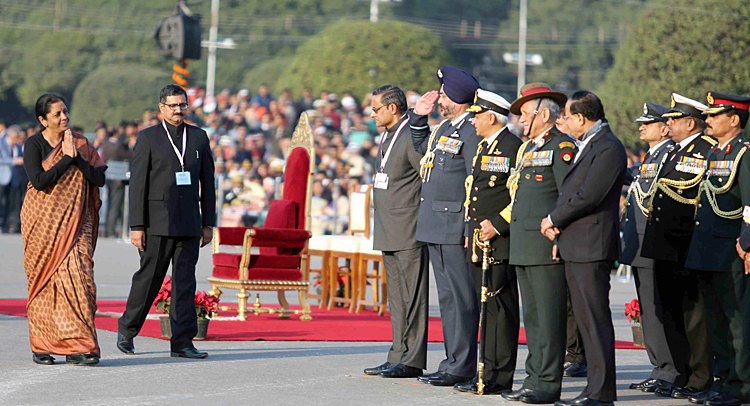 Union Minister for Defence, Nirmala Sitharaman at the 'Beating Retreat' ceremony, at Vijay Chowk, in New Delhi on January 29, 2018. Minister of State for Defence, Dr. Subhash Ramrao Bhamre, the three Service Chiefs: Air Chief Marshal B.S. Dhanoa, General Bipin Rawat and Admiral Sunil Lanba are also seen. 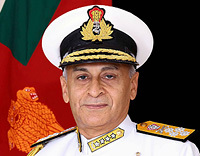 In keeping with their characteristics of wielding power through mismanagement, chaos, exploiting systems for benefiting self and friends, and expanding own sphere (as explained by Dipali Rastogi above), MoD bureaucrats continue to degrade armed forces status, rank, pay and equivalence, while even supporting Armed Force HQ Civil Service (AFHQ-CS) for gross functional and financial irregularities in its cadre restructuring based on deliberate representation of facts to the government; posts of seven new principal directors, in addition to the four existing ones, and 36 new directors have been sanctioned for the AFHQ-CS cadre without any functional requirement being expressed for them by the Armed Forces. The Army has represented, saying, "Creation of these unwanted/surplus posts is not only a violation of PMO's directive on 'minimum government and maximum governance', but also a drain on public funds and a recurring loss to the state". The cadre restructuring implies serious functional problems. AFHQ-CS, raised in 1986 as internal Group B secretariat support cadre for Armed Forces has already expanded to some 3,000-strong. As expected, MoD has scoffed at the representation of Armed Forces, saying the financial effect is not much, the cadre restructuring is already approved, and there is no question of civil-military rank equivalence. Incidentally, MoD had issued a letter in October 2016 equating a Two-Star military officer with a principal director in AFHQ-CS, a One-Star military officer with 25-26 years of service equivalent to a director with about 14 years of service, and a Colonel/equivalent to a joint director in the AFHQ Civil Service. Later, MoD was forced to withdraw this letter. With respect to the recent AFHQ-CS restructuring, Armed Forces have contended that 44 posts of MTS (safaiwalas/cleaning staff) have been shown as surrendered to project that the proposal for additional higher posts in the AFHQ cadre was "financially neutral". "But these safaiwala posts are neither part of the AFHQ cadre, nor do they exist on the ground ... they have been outsourced," says the letter. But this is not the only instance of MoD-MoD-CS have been lying. Section Officer (SO) Entry was stopped by government in Central Secretariat Group B cadre 2003 onwards having found it detrimental to smooth administration and cadre management based on recommendations of a government appointed committee. But AFHQ cadre instead of discontinuing SO Entry, increased the intake from 20 per cent to 50 per cent by AFHQ cadre officers by attending meetings with DoPT and UPSC officials faking as MoD officers – stating that SO Entry is required by Service HQ without Service HQ even knowing about it, as revealed in response to RTIs. .
AFHQ-CS officers have been falsely certifying to UPSC and DoPT on behalf of MoD that changes in their Service Rules have been viewed and endorsed by all stake holders, without even Service HQ knowing about the changes (MoD letter 'Website Certificate – Amendment to AFHQ Civil Service Rules, 2001', dated October 17, 2017, File No. A/21403/CAO/R-II refers). These irregularities have serious adverse financial and functional implications; which disturb established working environment and functional equations, no matter the excuses by MoD. The whole issue actually stinks. It is no more a question that the restructuring has been approved by the Union Cabinet. Instead the question is can the Union Cabinet put up with it being lied to by the MoD? It definitely requires the PMO to step in and order an independent inquiry while withholding implementation of the cadre restructuring of AFHQ-CS till the inquiry is completed.